Protesters demand fair development, not failed development. The students of Free Your Voice at Benjamin Franklin High School speak loudly and carry a big message. They have long had to share their south Baltimore neighborhood with chemical and coal industries, but they are drawing the line at an incinerator that would send mercury, lead, greenhouse gases and soot into the air they breathe. 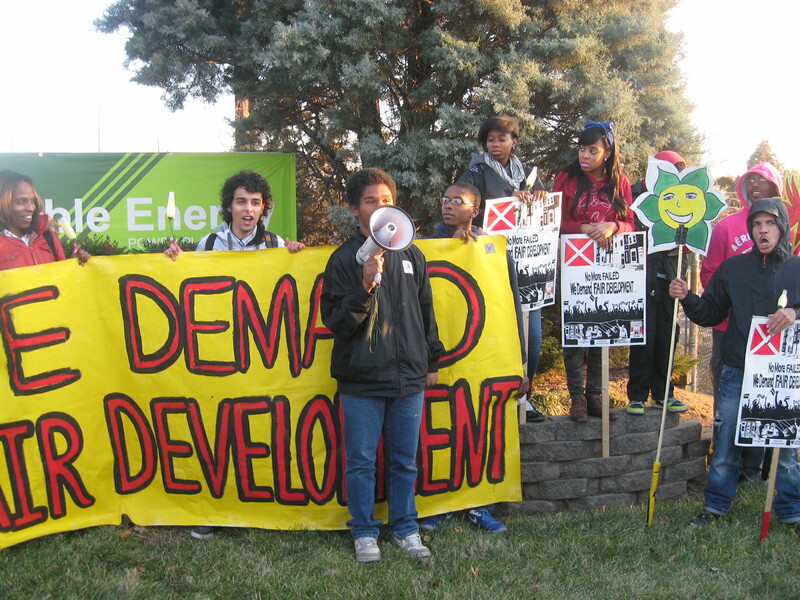 During the march this week from their school to the site of the planned trash-to-energy incinerator less than a mile away, these students demanded “fair development” not “failed development.” They understand younger than most what it means to live in a sacrifice zone, written off so a nation can have cheap energy at their expense. They echo those in Western Maryland, Lusby, Myersville and throughout Pennsylvania who say fracking, compressor stations, gas lines and liquefaction plants make them “sacrificial towns” for industry, all while heating up the planet. For the Curtis Bay community in Baltimore, the smokestack from Energy Answers’ planned Fairfield Renewable Energy Power Plant is only the most recent assault. To produce energy, the incinerator would burn trash, including plastic, rubber, vinyl, metal and household garbage — most of which could be recycled. The facility would be required to meet certain standards, but let’s face it: Those standards don’t typically consider cumulative harms, and too often industry bankrolls legislators to weaken those standards. New projects that set things on fire to make energy are just more business as usual. 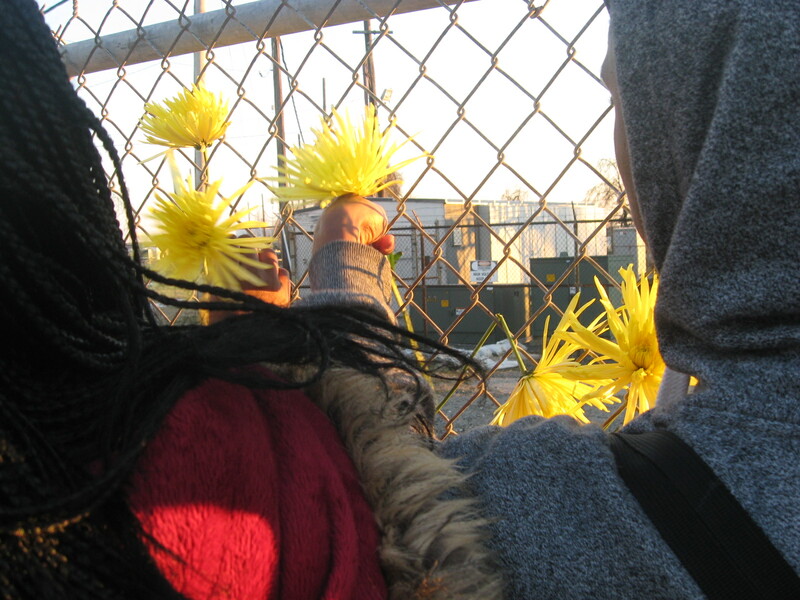 Destiny Watford, a member of Free Your Voice, was once asked: Why not put the incinerator there? After all, the air is already polluted. She said she didn’t have an answer at the time. Now she does. 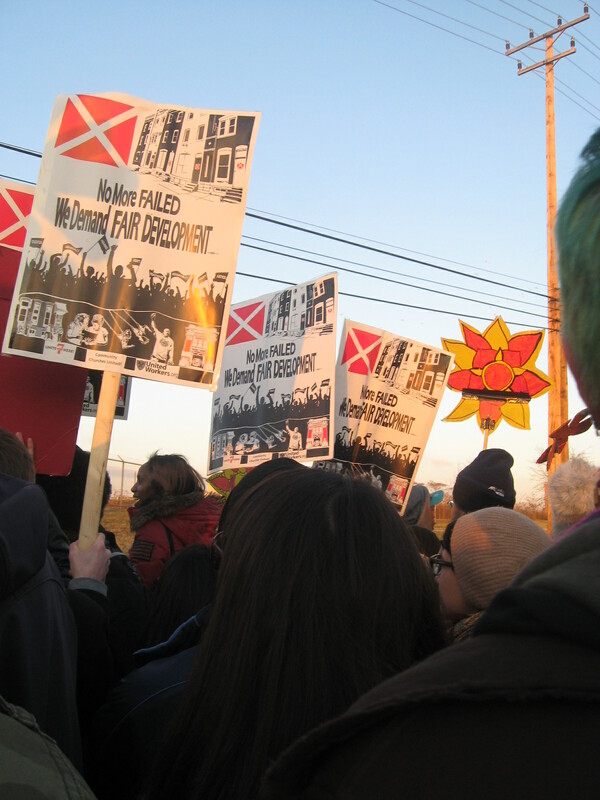 “Just because that’s the way it’s always been doesn’t mean that that’s the way it always has to be,” she told students, teachers and community supporters in the school auditorium before the march to the incinerator site. “We have a right to live lives that aren’t cut short by poisoned air. We have the right to development that benefits all of us.” To Energy Answers and Governor O’Malley, these students say: We will no longer be your dumping ground. At one of the organizing meetings with students about Energy Answers’ plans, every person in the class had asthma, said Watford, a Towson University student and Benjamin Franklin alumna. And yet most people were unfamiliar with the incinerator project until the Free Your Voice students and other activists started talking to the community. “It’s our human right to know,” Watford said. English teacher Kelly Klinefelter encouraged the students to continue to “use your voices to object when you object. There is much to object to in the case of this incinerator.” Students are asking the right questions, she said: “Aren’t there better and cleaner ways to make power for our city? Don’t we owe our Earth better stewardship? And why is the incinerator coming to our neighborhood,” she asked, when children here are more likely than others in Maryland to suffer from hunger, homelessness, crime, underfunded schools and some of the dirtiest air in the country. “This is a social justice issue,” Klinefelter said. After a march along East Patapsco Highway to the site of the incinerator, which is equally close to Curtis Bay Elementary School, high school student Charles Graham III talked to the protesters about leaving Baltimore for a time and realizing upon his return that his community often smells like “burning plastic.” He said he doesn’t smell that any longer because he is used to it again. Future generations don’t need to smell this smell, he said. They have seen enough pollution, enough injustice. Organizers say the project’s status is murky. The Maryland Department of the Environment says the company has met construction deadlines. Gregory Sawtell of United Workers said community groups dispute that and are pressing MDE to investigate. Charles Graham tells the crowd his community has withstood enough pollution and injustice.